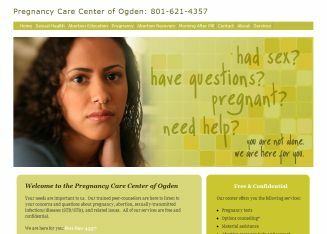 From deceptive advertising to flat-out lies, crisis pregnancy centers prey on desperate young women looking for help. Joyce C. Tang on new laws across the country fighting back. When 21-year old Amy found out she was pregnant, she was torn between knowing she couldn't support both herself and a child, and her religious beliefs, which taught that abortion was wrong. Unsure about what to do but leaning toward an abortion, Amy (not her real name) scoured the Internet for abortion services. She came upon theArlington Pregnancy Center near her Texas home, which advertised help for unplanned pregnancies, counseling on abortion, and, most importantly, free services. Until recently, CPCs have been largely unregulated, even though they are eligible for federal abstinence-only funding. But in November, the city of Baltimore, influenced by lobbying from Maryland’s NARAL and Planned Parenthood chapters, enacted adisclosure law requiring limited-service pregnancy centers to post signage if they don’t provide or refer for abortion or birth control. The world is made of choices. People make choices, whether or not it's the right choice is up to them. What may not be right to one person doesn't mean it's not right for another. Lying to someone when they're already under a lot of pressure over a situation involving a child and the possibility of dying isn't going to help the situation and the best you can do is just lay out their options, and support them with whatever they do choose. “I frankly would have hoped that Baltimore City Council would be more appreciative of the enormous volunteer efforts that were made for the poor of the city,” Schetelich said. OK, I do not think that just because you live in poverty that you cannot have children. Technically, my family is below the poverty level. However, we feed and clothe and shelter our children, the kids regularly go to the doctor and the dentist, we are not dirty, we value education and morals, and I am in my last year of college to become an RN. We have just managed to make due with what my husband earns. So, I try not to use economics as a way to judge others. With that out of the way, not everyone who lives in poverty manages their meager finances in a way that provides properly for their children. The fact that these people are encouraging women to bring children into the world that they cannot necessarily support, no matter how much free stuff they give them to help them, is wrong. It's worse that they feel they deserve positive recognition for it! Are they going to make sure that these kids make it through school, get decent healthcare, and aren't abused, too? And of course, I am appalled by the message of this article. Religion is supposed to be the high road, and yet they are deceitful and manipulative. Disgusting. um...I do support there freedom of speech though. So does that mean you support false advertising in favor of freedom of speech? We have consumer protection laws for a reason. This is another case of a business using religion to make themselves above the law. I mean, in any other market in the entire world, it's blatantly ILLEGAL to advertise for a service you do not provide.... and further, I think there should be additional penalties if a business advertises a service they not only have no intention of providing, but actually have a planned policy of aggressively dissuading against.